Comal County residents who need to purchase a mandatory county pet license or rent a trap will no longer need to drive into New Braunfels to do so. 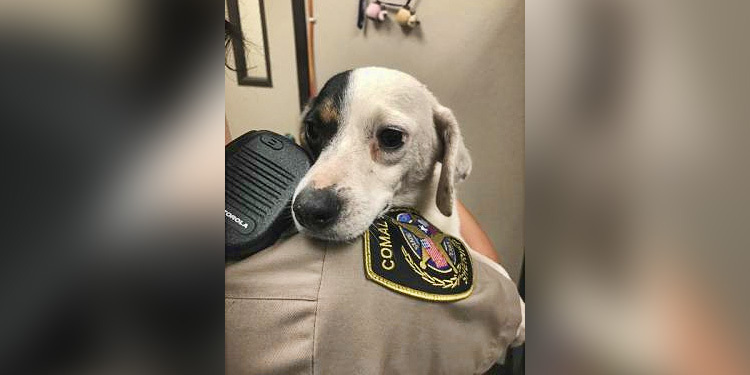 The county’s Animal Control Office, part of Comal County Sheriff’s Office, moved last week to 145 David Jonas Drive, off U.S. Highway 46 between New Braunfels and Bulverde. “This move allows our Animal Control officers to be more centrally located within the county and provide better service to the community until they receive updated space,” says Sheriff’s Office Lt. Mike Smith. Residents who live in unincorporated areas of the county can report strays by calling 830-608-2016 between 8 a.m. and 5 p.m. Monday through Friday. After-hours, non-emergency phone number is 830-620-3400. Animal Control is now headquartered in the same building as the county Fire Marshal’s Office and Precinct 1 Justice of the Peace and Constable’s offices. Preliminary plans for additional space are included in the Walter Fellers Law Enforcement Center renovation, part of a $76 million Comal County jail construction project. These new offices will not be completed until at least 2020. Smith says the temporary office, strikes a balance between the need for space and a desire to be more centrally located.